I thrive to have knowledge on as many techniques as possible in order to be able to use the best "tool" to create the change we are looking for during the massage. The links below will take you to a more in depth description of what these massages will include. If you have any additional questions after reading these descriptions, please don't hesitate to ask. Looking to buy a unique gift for a friend, co-worker, boss, or loved one? 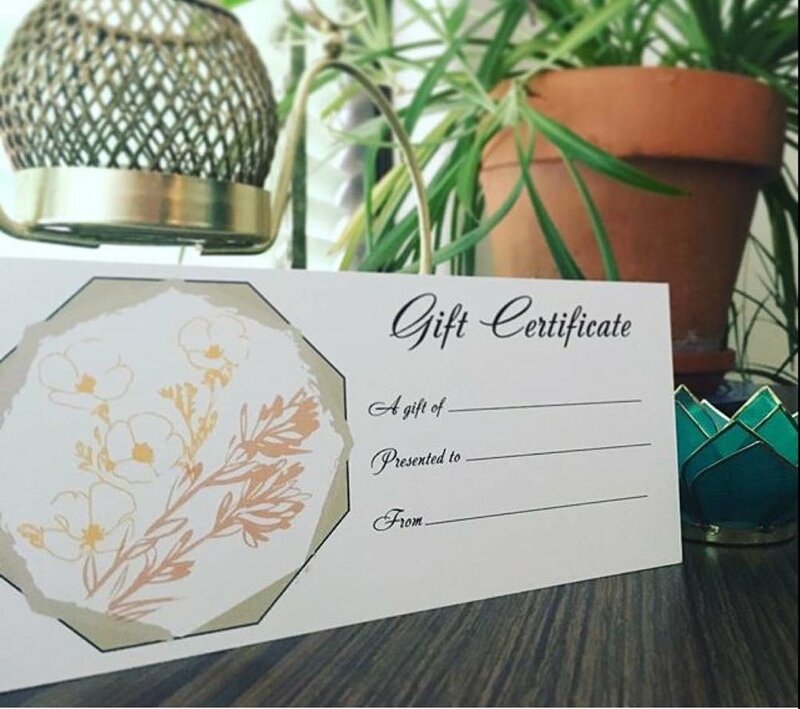 A Gift Certificate for massage is a great option! Contact me about purchasing a gift certificate today! Here are some common questions I get from clients who have never received a massage before. If you're scheduled to receive your first massage and have other questions prior to your appointment, please feel free to contact me. Should I eat or drink anything before my massage? The big question, do I need to get totally naked for the massage? For businesses small and large. On-site chair massage is a unique and convenient way to show your employee's you appreciate their hard work and dedication. Gift yourself, and your employee's with a massage during the work day to boost morale and encourage a stress-free environment. For this service, I bring a travel massage chair and all necessary equipment for the massage to your place of business. All I would need is a space to set up my chair. A small room, staff lounge or clinical room would work well. Contact me to discuss more details. My space is located in historic downtown Laramie, in Wyoming's oldest law firm, Corthell and King Law Offices. The address is 221 South 2nd Street. When you walk through the main doors into the lobby of the Law Offices of Corthell and King, my space is immediately to your left. Through my online scheduler, there is also an option to pay prior to your appointment using a credit card.